Yesterday, Blizzard announced that an official Overwatch League is in the works. It’s an exciting moment for a game that, only six months post-release, already offers million-dollar tournament prize pools. Overwatch, though, is a volatile game. Today, Overwatch Game Director Jeff Kaplan said on Battle.net that hero-balancing will continue to be kinetic, a model that, as we’ve seen recently in esports like League of Legends, can prove unsettling for players and investors. In an interview at Vanity Fair’s New Establishment Summit, Bobby Kotick, Activsion Blizzard’s CEO, made mention of an upcoming Overwatch esports league. “What we’re doing is creating professional content. So we’re organizing around teams and leagues. 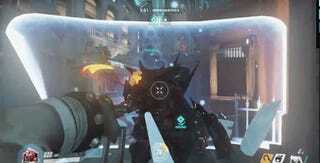 You will have the Overwatch League, which will have a certain number of teams,” Kotick said on a panel, according to TheStreet. Last month’s Overwatch Open tournament attracted 280,000 viewers on TBS, a promising number when the Group F Counter-Strike: Go finals, also on TBS, attracted 265,000. Clearly, the desire for an Overwatch League is there. But how it will be structured and funded is unclear—Kotick added that the teams will be, in part, owned by professional and endemic sports teams, much like League of Legends’ pro teams. Also like League of Legends, Overwatch will continue to face potentially disruptive balance shifts, which for the more established esport LoL, has proven difficult for funders and players to handle. Today on the Battle.net forums, Kaplan responded to a question about whether “the current effort toward hero balance will completely erase or dissipate” less strategic Overwatch heroes. Essentially, the commenter is concerned that, with Overwatch’s frequent patches, professional players must constantly tweak their strategies and skills to keep up with the ever-changing metagame. Currently, the Overwatch heroes Symmetra and Torbjorn are considered, by some, to be “troll” picks, since more serious players have difficulty making use of them. We wrestle with the issue that players get very upset at us when they perceive “the meta is stale” and certain heroes are not viable. Yet it’s also very disruptive to the playerbase for us to make changes. It’s a bit of a Catch-22 but we do our best to responsibly look at all heroes all the time and make sure nothing is terribly unbalanced or worse, un-fun. It seems that Overwatch’s hero balance will continue to change, if for nothing else, to shake up the “meta.” For casual players, balance changes can be fun, keeping the game fresh and replayable. For competitive players, and especially players whose incomes depend on excelling at Overwatch, consistent balance changes can mean wasted hours sharpening a skillset that, a week or two later, could become useless. Blizzard representatives declined to comment for this article. Recently, League of Legends faced a similar problem. In August, a prominent League of Legends team owner clashed with Riot co-founder Mark Merill over, in part, the game’s frequent patches and what that means for its esports league. Near the end of a recent esports season, a disruptive LoL patch had professional players reeling. This prompted Team SoloMid owner Andy “Reginald” Dinh to comment on how the game’s volatility made it a tough investment, both in terms of time and money: “Many people don’t understand that the specialized skills which LCS [League Championship Series] players practice don’t really carry over from one patch to the next,” he said. This “knocks everyone back to the starting point. . . Huge patch disruptions in playoffs results in unsatisfying results and lower-quality gameplay,” he added. Dramatic patches can skyrocket pro LoL players’ stress levels and increase their odds of being cut from teams—their source of income. Also as a result of LoL’s patches, Dinh diversified his investments with other games. LoL, he said, can change at any time, so sinking more money into it may not be entirely wise. Several other games with esports cultures, including Counter-Strike, have been facing the same issues. It’s nothing new. But how Overwatch’s upcoming league players and investors will handle the game’s shifting “meta” will be interesting to follow. 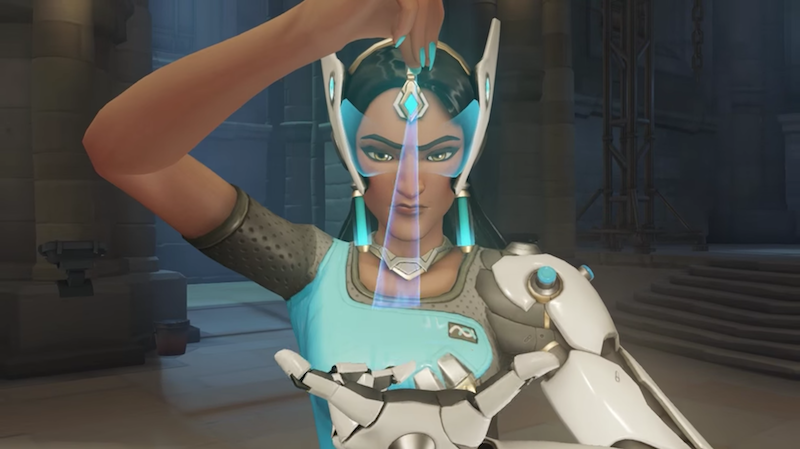 In the meantime, Blizzard will be tweaking Symmetra and Torbjorn for competitive play—changes that will surely make watching tournaments more exciting.